The Court's official website provides transcripts of oral arguments on the same day an argument is heard by the Court. Same-day transcripts are considered official but subject to final review. Transcripts are available for the cases argued during the October Term 2000 and subsequent Court Terms. Oral argument transcripts in paper or microform are available at the Law Library of Congress. See the library's finding aid for specifics on their collection and how to request transcripts, e.g., by US Reports citation, Term, and/or Docket Number. 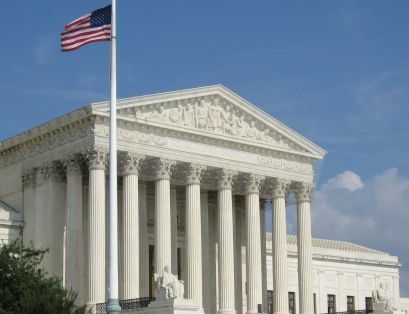 Supreme Court Insight, 1975-2016, is a complete online collection of full opinions from Supreme Court argued cases including oral argument transcripts. This is a new database; retrospective content is still being loaded. From October 1979 to current. From October 1990 to current. Recordings of oral arguments from October 1955 to present. Click on podcast link to access the MP3 file for each oral argument. Six cassettes with printed transcript. Published in conjunction with the Earl Warren Bill of Rights Project, and the Northwest Public Affairs Network. The site collects oral argument audio from the Supreme Court and all of the Federal Circuit courts that provide it. 1975-2004. Includes oral argument transcripts when available. Accompanies 23 live recordings of landmark cases as argued before the Supreme Court.